Designed to strengthen hoof walls. Contains amino acids for hoof growth. Includes 20mg of Biotin per day. Hoof problems often occur in horses fed an unbalanced diet. 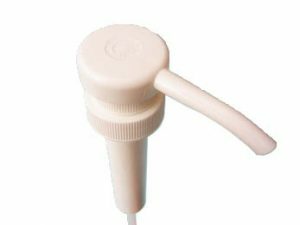 It is therefore important to provide correct levels of the vitamins and minerals required toensure the hoof grows correctly, and is strong enough to withstand the weight of the horse. Weak hoof walls ultimately place unnecessary strain on the internalstructures of the hoof. 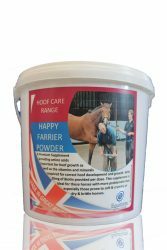 This is a powdered version of our popular liquid product, designed to offer increased support for those horses with particularly high demands for hoof support. Containing key ingredients, vital for hoof development, this product provides many amino acids important for hoof growth as well as the vitamins & minerals required for correct hoof development and growth. 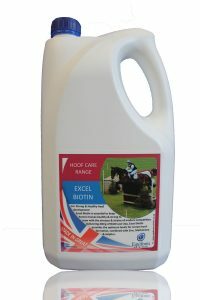 With 20mg of Biotin provided per day, this supplement is ideal for those horses with more problematic feet, especially those horses prone to soft & crumbly, or dry & brittle hooves, and those with a tendency to suffer from sand cracks. By supplementing the diet with a product specifically formulated to meet the requirements for hoof growth many hoof problems may be avoided. Horses: 30g per horse per day. Ponies: 15g per horse per day.